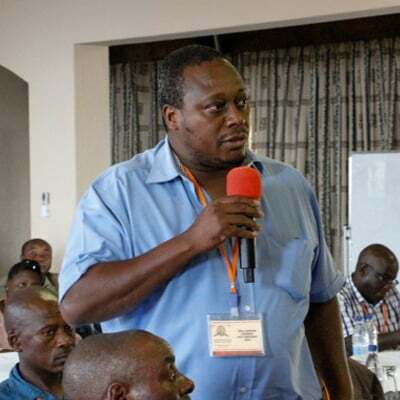 Zimbabwe is losing substantial amounts of foreign currency reserves to foreign building contractors, allocated local project tenders in process siphoning money out of the country, Zimbabwe Building Contractors Association (ZBCA) president Engineer Ransom Nherera has revealed. Speaking during for a Midlands Region business dinner in Gweru last Friday, Nherera said government should award tenders to local companies as a way of managing foreign import bill. He said the country was losing huge amounts of foreign currency which is repatriated to foreign construction companies that also deprive locals the opportunity to gain experience and expertise in their work. “We want the Zimbabwe is open for business policy not just for outsiders but also for us locals. If we don’t advocate for this as locals they will think we are satisfied and we have no capacity. “We do have the capacity and if you hear anyone saying that Zimbabwe has no capacity, that person must be mad,” Nherera said. He gave reference to the recent completion of the $533 million Kariba South power station expansion project where local contractors did not get enough capacitation to replicate a similar, even smaller, project. Nherera said students coming out of tertiary training institutions such as Polytechnics and Vocational Training Centres are deprived of opportunities to gain the necessary practical experience if the country does not grow the local contractors. He added that for the past two years, Zimbabwean contractors have been rehabilitating and retooling which has increased performance capacity after many years of retrogression, applauding the Reserve Bank of Zimbabwe for availing a $50 million facility to help in the retooling of the construction sector. ZBCA Midlands Region President Dr Tinashe Manzungu commended the facility but emphasized that it should capacitate building contractors into completing their projects, do it timely. “Yes the facility has been availed but we hope, as a sector, the funds are adequate to ensure sustainability of the entire sector. “The sustainability of the construction industry depends on us being able to deliver on projects, and on time,” he said. ZBCA Midlands Region’s Dr Tinashe Manzungu of the TM Group of companies said the Zimbabwe construction sector has not been spared by the uncertainties in the current pricing distortions woes. He said considering the tight fiscal and monetary policies announced by government recently, urgent solutions are required to revive the construction sector and the economy in general.